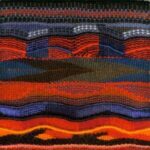 Paula is a textile artist specialising in tapestry weaving. She teaches this in Saffron Walden for beginners and improvers. 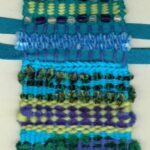 In the first class the learner will weave a small piece of fabric on a simple frame. Further classes build on this simple use of weft face weaving crucial to tapestry weaving. 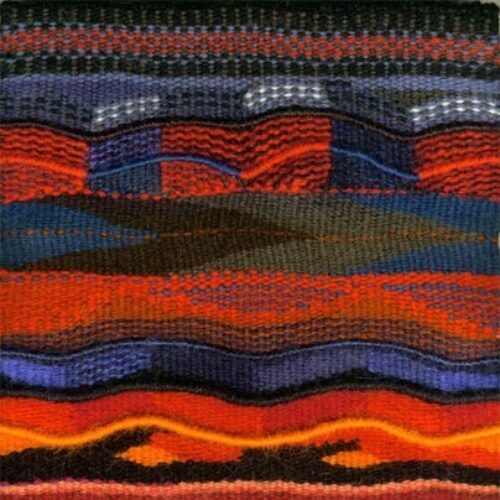 Different textures of “yarn” are used to create a picture or patterned fabric. The first image shows a teaching sample of what a learner will do at the first class. The second is what a learner might aspire to! Detailed handouts of all processes are provided.